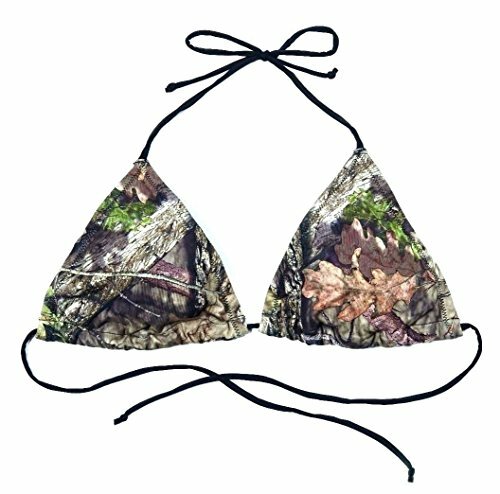 Add a little country to your summer wardrobe with this new Licensed Mossy Oak Breakup Country Camo String Bikini. Buy each piece individually. Select the top and bottom size you need to complete a matching set. This classic-fit fully lined string bikini features soft removable pads and a sliding triangle top with slim black straps that tie at the neck and back. 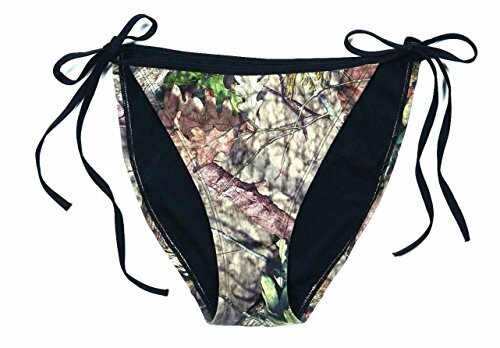 The traditional lined bikini bottom provides adjustable ties at the sides for your personal look. Made from a comfortable, durable polyester/spandex blend. Available in sizes: Small, Medium, Large & X-Large. 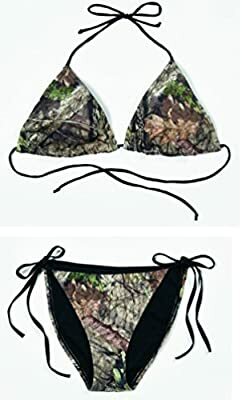 Licensed Mossy Oak Breakup Country Camo String Bikini Top or Bottom Made from a comfortable, durable polyester/spandex blend Available in sizes: Small, Medium, Large & X-Large Order the top and bottom size you desire to complete a matching set.